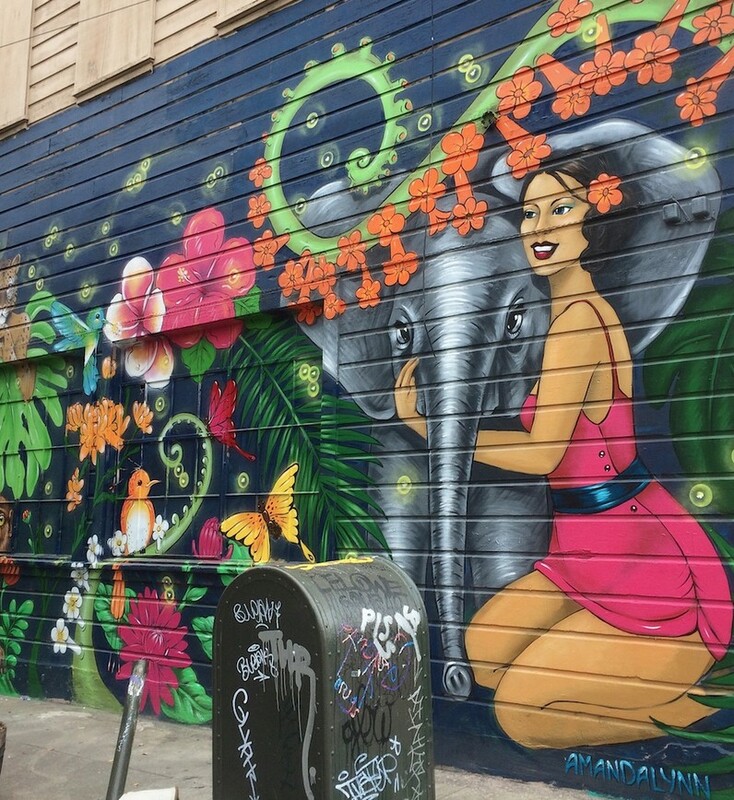 San Francisco is a city renowned for its street art. 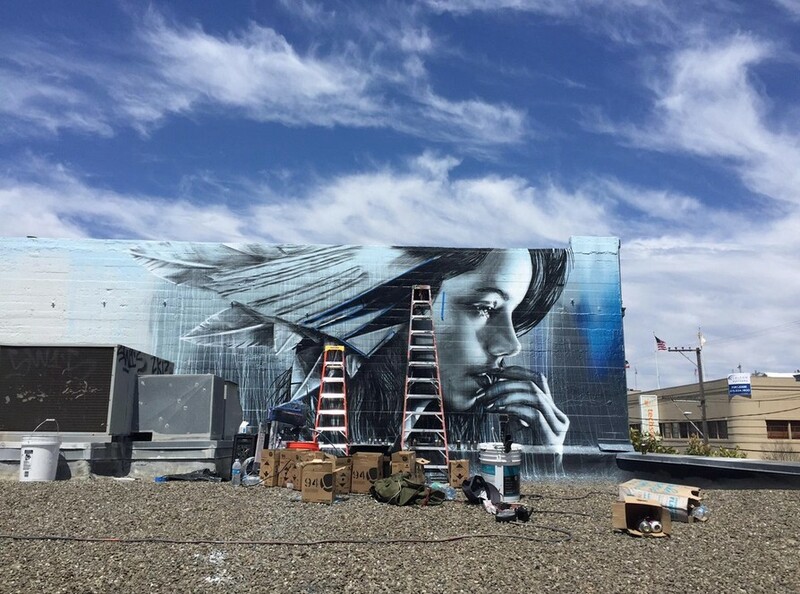 Now, Rocha Art is celebrating the scene's feminine side with "Wander & Wayfare," an exhibition of all women artists from around the world. 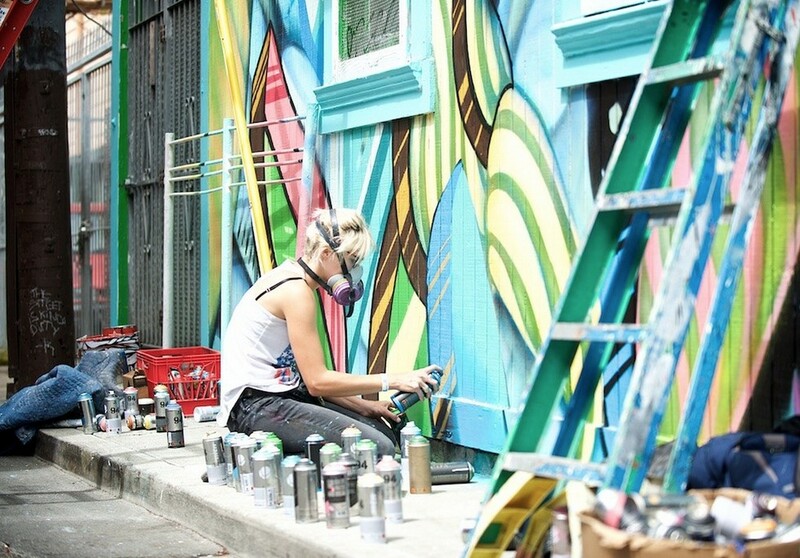 When we think about male-dominated professions, we talk an awful lot about high tech. 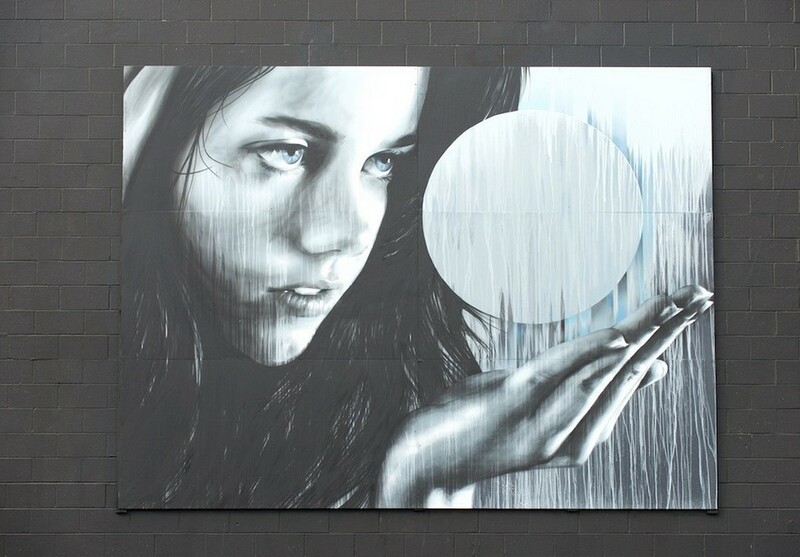 But art, too, is a man's world, especially when it comes to the street. 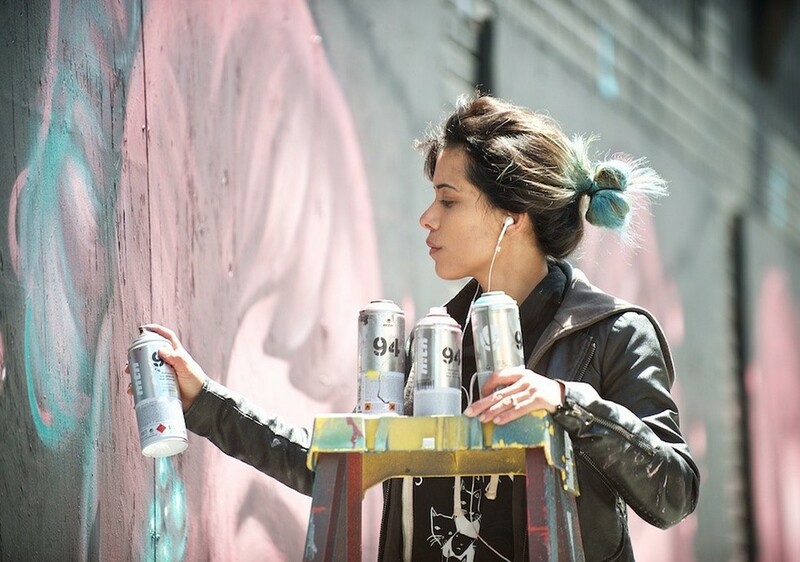 Curated by Oakland-based artist Allison “Hueman” Torneros and Rocha Art founder Daniele Rocha, "Wander & Wayfare" seeks to recognize the underrepresented talents of female street artists and to give voice to diverse artists hailing from Oakland, Venice, Hong Kong, Brooklyn, San Francisco, and Miami. 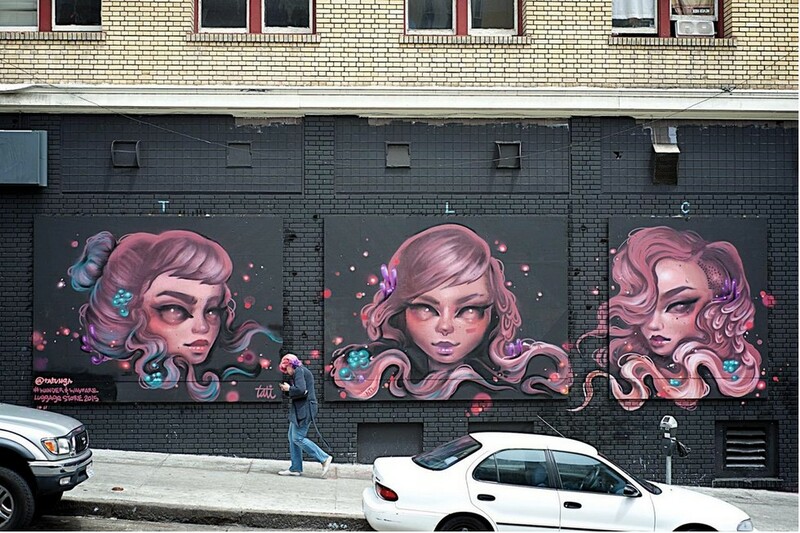 These women's vibrant murals sprang up in neighborhoods across SF in late May. 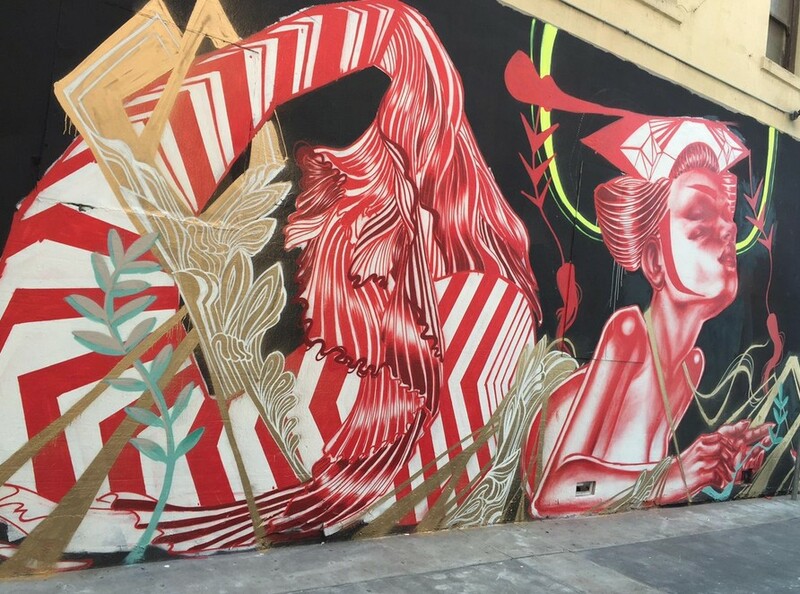 In the Mission, local artist Amanda Lynn gave Woodward Street the jungle treatment with an elephant getting a hug; while over in North Beach, Hong Kong artist Caratoes brings another wall to life with a graphic red-and-white woman. 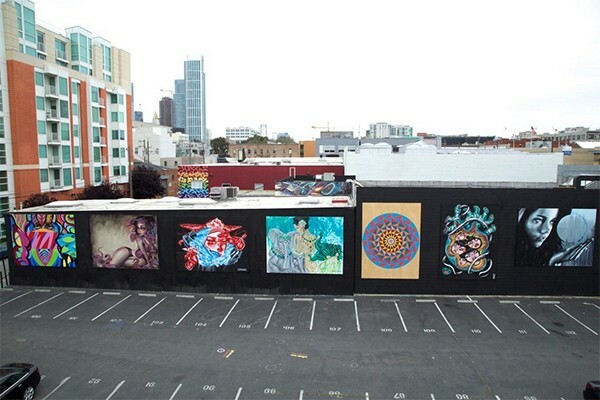 Additional works of art can be found in SoMa, the Tenderloin, and Potrero. View them on the online map, here. 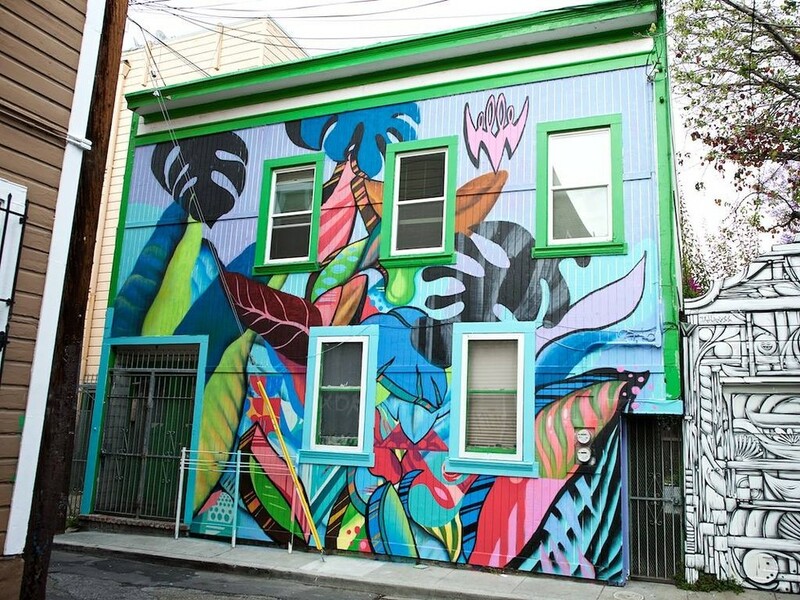 "Wander & Wayfare" runs at Rocha Art's collaborative mural gallery through June 19; 466 Brannan Street. 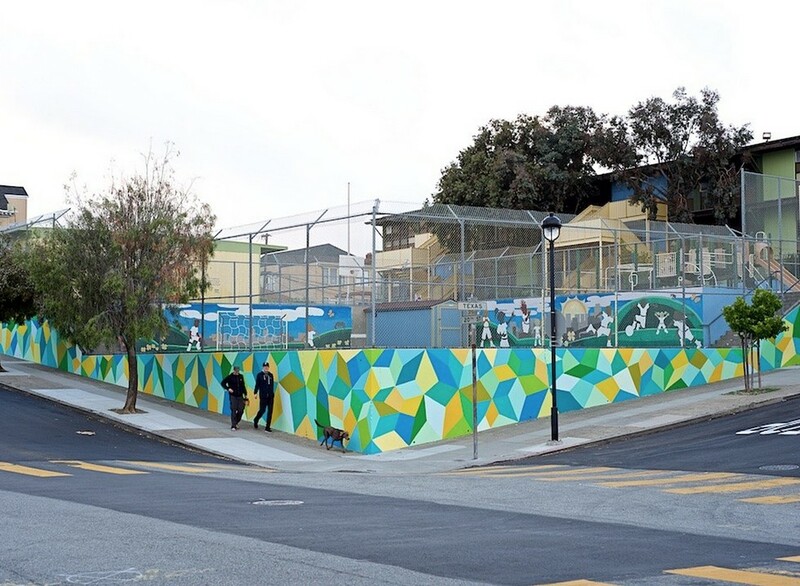 The outdoor mural exhibition will run for a minimum of six months, rochaart.com/wander-and-wayfare.